I’m back in Japan and finally settling down. I do a lot of work on my computer, so the days I spend at home are increasing. So it’s been good timing to get a dog. 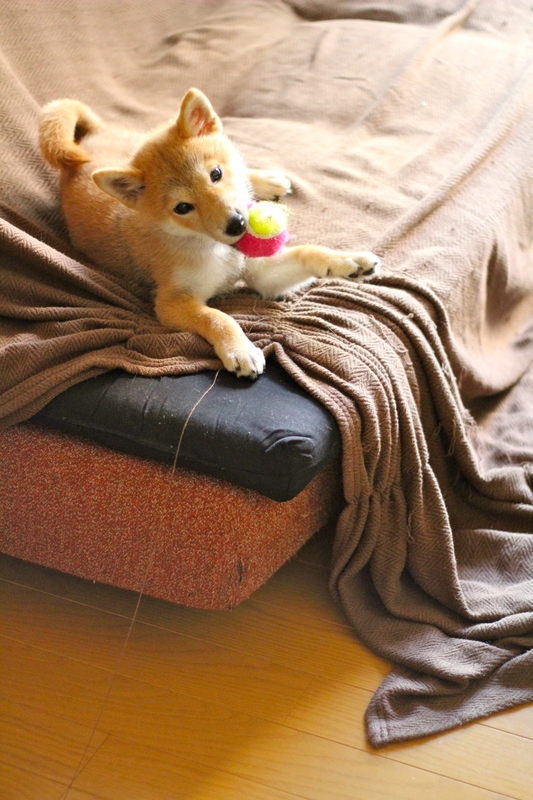 So here is 6 month old Kit, the Mame-Shiba Inu. 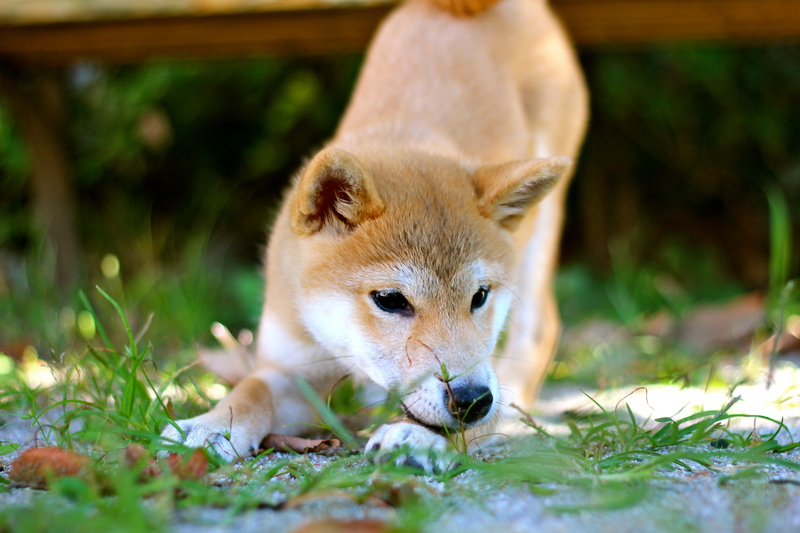 Mame-Shiba are a lot smaller than standard Shiba Inu. You cannot predict the size of a Mame-Shiba Inu. It depends on each dog. But Kit is only 8 pounds at 6 months, he is very tiny. 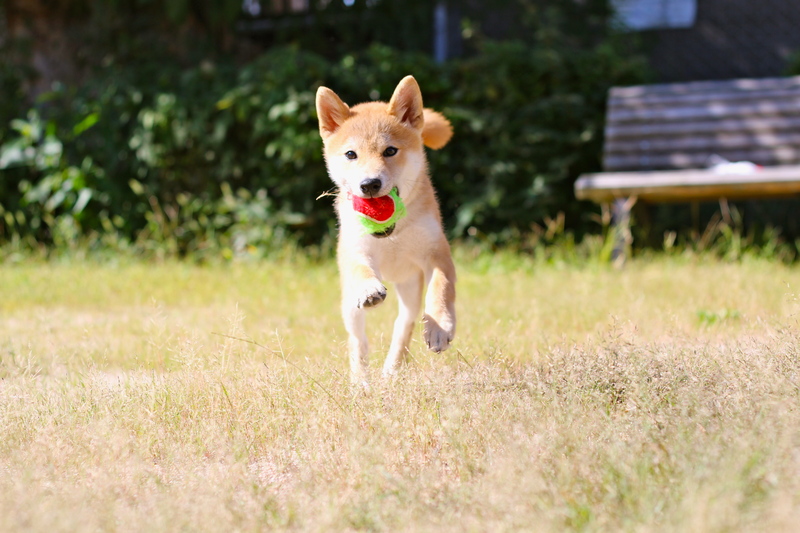 But even though he is a small dog, his personality is that of a full-sized Shiba. He loves to play tricks and is very energetic. He causes me trouble because he is too clever. And he chases after those who are smaller. I’m actually worried he won’t be able to make friends at this rate. 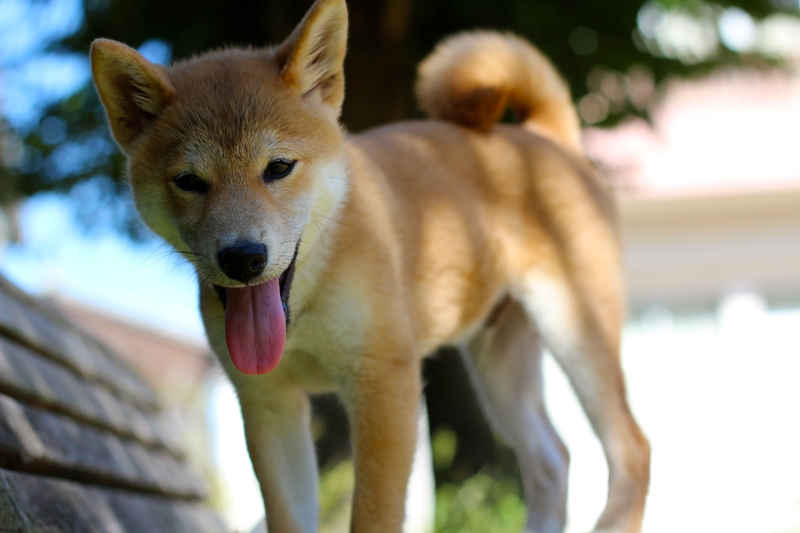 I have had dogs ever since I was little, so I have experience but..
Shiba Inu are definitely an exception. They have a huge personality and lots of pride. 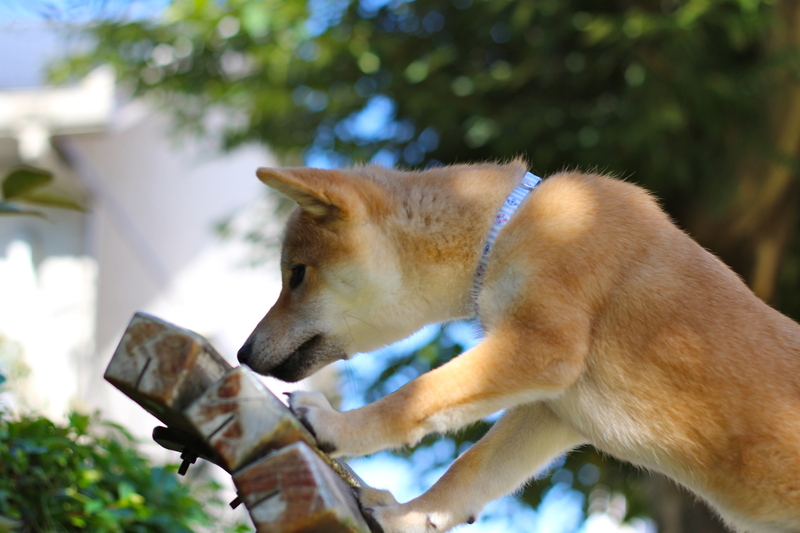 Even though he is a mini-shiba, he still has the same instincts of a full sized one. He has lots of curiosity. And he desperately wants to call the shots. And sometimes he is full of mischief. But I love his face. And I can’t stay mad at him for long. But I miss him a lot when he’s not around. And going to the park is always nice, not only for Kit, but for me too. I am working hard to make sure he grows into a good man. And if you thought you had seen him before–you’re right. Actually he appeared in my August entry as well. We both appear on the program on Nestle’s homepage. As I raise this dog, I think I’ll be posting cute photos of him from time to time, so please be kind to him. I’m like a crazy mom. 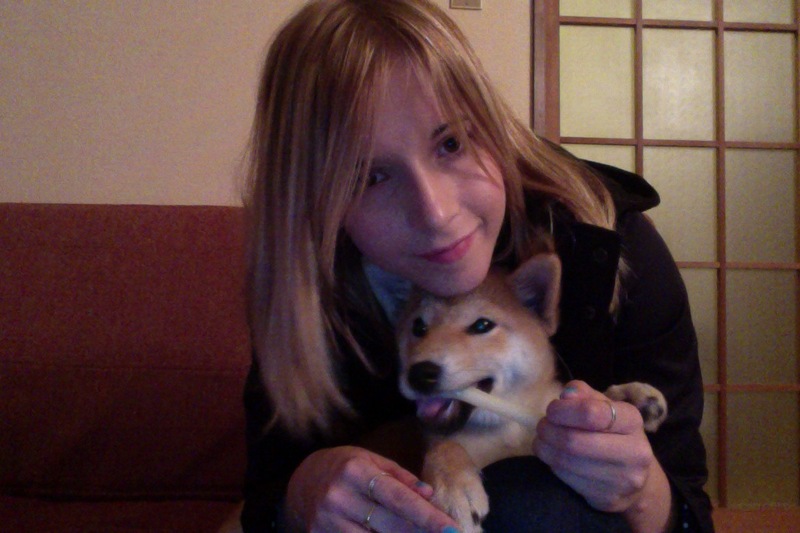 Posted in MicaelaTagged きっと, キット君, ネスレ, ミカエラ, ciaela, Cute, Dog, 豆, 豆柴, 豆柴犬, japan, japanese, Mame, Mame Shiba, Micaela, Mini, Mini Shiba, Pet, Photos, Puppy, Shiba, 写真, 可愛い, 子犬, 柴, 柴犬Bookmark the permalink. とてもかわいいです！！ I just recently found your blog and love it! I am looking to become a vlogger and was hoping to be able to ask you some questions. Hi there, long time watcher of your vlog and just stumbled onto your blog. I really love the fact that you got to take Kit home. Puppies can be quite trying but I am sure once Kit gets used to life with you and his puppy steam starts to wear down it will get much easier. The photos are nice too especially the first one. What’s the new lens you got for your camera? 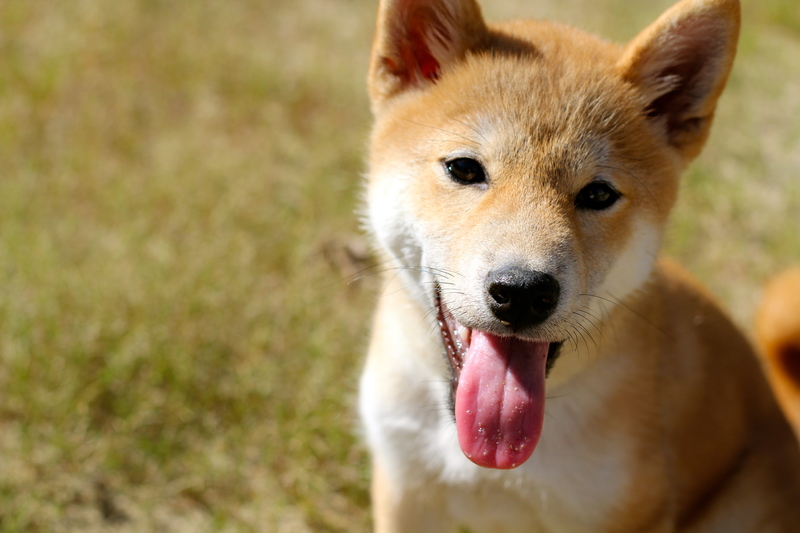 カワイイ犬！Such a cute Shiba inu :). I want one!! Hola!! ミカエラさん、こん日和。わたしもしばいぬがすきです。How did you get it?!! Was expensive? どのぐらいかかりましたか。Hope You can answer me, please! !.